The function of the drivetrain is to couple the engine that produces the power to the driving wheels that consume this mechanical power. 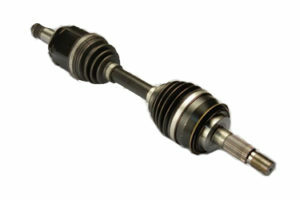 This connection involves physically linking the two components, which may be at opposite ends of the vehicle and so requiring a long propeller shaft or drive shaft. The operating speed of the engine and wheels are also different and must be matched by the correct gear ratio. As the vehicle speed changes, the ideal engine speed must remain approximately constant for efficient operation and so this gearbox ratio must also be changed, either manually, automatically or by an automatic continuous variation.